A record number of people from the RIT community is attending the 2018 Grace Hopper Celebration Sept. 26-28 to learn, network and recognize the success of women in technology. RIT students, faculty and staff are joining the world’s largest gathering of women in computing this week to celebrate accomplishments in technology and recognize the diversity behind them. 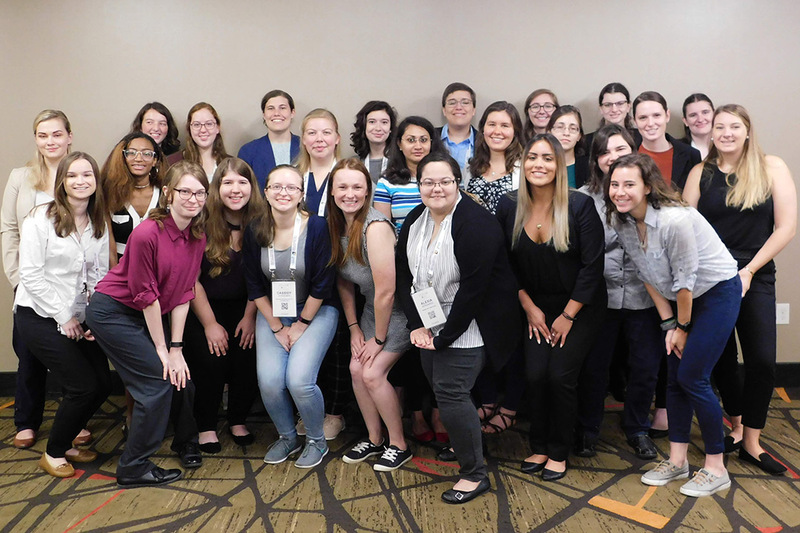 More than 30 members of the RIT community are attending the Grace Hopper Celebration Sept. 26-28 in Houston. This is a record number of RIT attendees, thanks to support from Eaton Corp., which provided funding for 10 students. The annual Grace Hopper Celebration brings together a community of more than 20,000 people who are committed to advancing women in tech. The event features talks from leading women in computing, learning sessions, networking and an end of celebration party. Shannon McIntosh, a fifth-year software engineering student who is sponsored by Eaton this year, has attended the celebration four times now and thinks that it’s important for any student to attend this event (male or female), because of the incredible influencers that attend. This year’s speakers include Padmasree Warrior, CEO of NIO U.S.; Anita Hill, professor of social policy, law, and women’s studies at Brandeis University; and Priscilla Chan, co-founder of the Chan Zuckerberg Initiative. In addition, attendees can participate in hundreds of sessions on everything from deep dives into quantum computing to what it takes to be a startup founder. Student attendees also have the chance to network with leaders from the tech industry’s top companies at the event. In the past, RIT students have done interviews at the celebration that resulted in job offers and co-ops. This is the first Grace Hopper Celebration for Felix Brink, a fourth-year web and mobile computing student. She said that if it wasn’t for the support she found in RIT’s own Women in Computing (WiC) community, she probably would have switched colleges a long time ago. The celebration is organized by AnitaB.org and the Association for Computing Machinery (ACM). The event honors Grace Hopper, a computer scientist and pioneer of computer programming who invented one of the first compiler related tools. 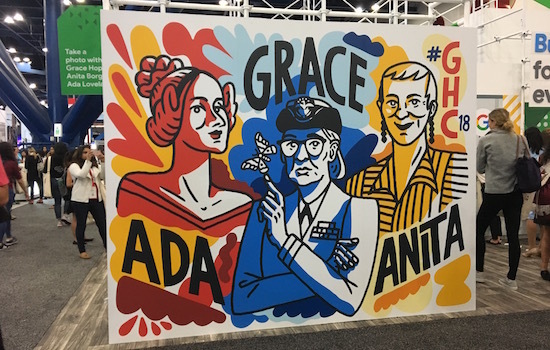 To learn more about the Grace Hopper Celebration (GHC 18), go to ghc.anitab.org.